If I had to choose any one thing that makes working in the digital marketing world so incredibly fascinating, it would be the constant appearance of new methods and tools making us need to be in a constant state of learning and reinvention, an continuously adapt ourselves to users’ new habits. And just as we experience the birth of entirely new and revolutionary advertising methods, such as account based marketing, we also see some of the digital marketing “classics” be updated and thrive as never before. This, is exactly what is happening with email marketing. 2017 is just around the corner and marketers continue to rely on email as a way to reach out to their targets and effectively motivate them to take action. Email is an extremely powerful tool, opening a direct and personal communication channel between you and your clients and leads, and achieve incredible results. 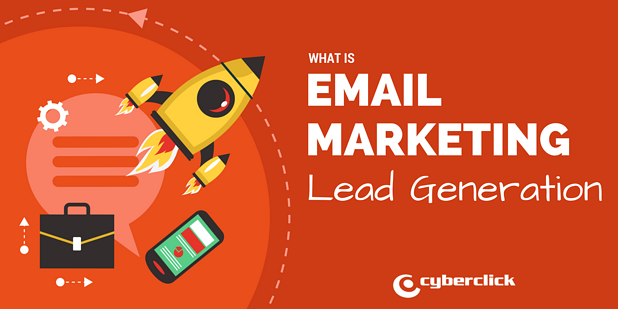 Letting this technique fall back into the shadow of other more precise or trending tools would be a very big mistake, which is why I would like to today all about email marketing lead generation, its advantages, and share one of success stories from here at Cyberclick. Long story short, email marketing lead generation, as they name may suggest, is a strategy consisting in the use of email campaigns with the goal of generating new leads and clients. It is essentially about using email marketing campaigns to incentivize conversion. In email marketing lead generation, it is not uncommon to rent third-party opt-in email address databases. It is a quick and easy way to get contacts without having to have been in touch with them before - but for it to work, it is essential to guarantee the quality of these email providers. These lists can be rented on a CPM basis (paid per every 1000 emails sent) or by achieved results (clicks, leads and sales). Deciding on the latter makes it much easier to guarantee the profitability of this investment. In an environment in which the consumer tends to feel constantly harassed by advertising messages, building a personal relationship through emailing can be a good way to gain their trust. The key lies in having all the right information about our contacts, and in using it wisely to send them personalized content, which will give them the assurance they need to let us get to know them. As we have already mentioned, this is an email marketing strategy strongly oriented towards conversion. The goal of this continuous communication is to obtain large amounts of relevant data that will then allow us to send highly personalized offers, and, as such, improve our campaign’s conversion rates. Your goals and the action plan. “Where do we start?” By collaborating with your email marketing agency, you should be able to clearly define your lead generation methods and which generation strategy you will follow to succeed. Campaign creation. Every single element in your email counts when generating conversions, from the subject line to the color of the Call-to-Action button, and optimizing your landing page is vital. It is also just as important for every element of your email to have a responsive design, allowing the email to be viewed properly on any device. Market and creativity tests. Before compromising your investment, it is extremely important for your email to undergo thorough testing. In this phase, you will have to try out various different creative elements and messages, until you find the perfect formula that best connects with your audience. It will then be time to analyze the results to understand the market’s response to your campaigns, and the quality of the generated traffic. Make final adjustments to your creative elements and your budget (according to the results of your testing phase). Launch your campaign using your own database, third-party opt-in databases you acquire, or both. 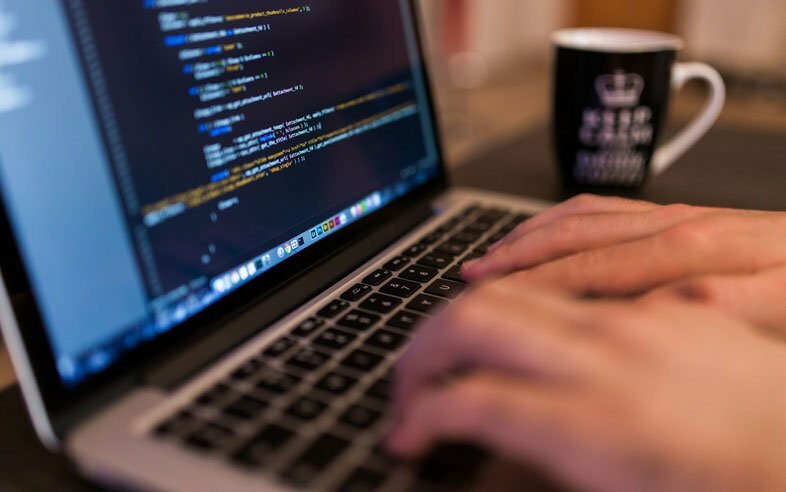 To guarantee maximum efficiency, it is very important that your databases undergo regular “cleaning outs”, eliminating invalid or corporate email addresses. Analyze your results to determine whether or not you met your goals and to obtain insights that will allow you to optimize your next campaigns, such as the best days and times to send different types of emails. Low costs. Even taking the costs associated to maintaining personalized databases and automation tools into account, email marketing continues to be a relatively inexpensive strategy in comparison to other digital marketing techniques. Content creation. Related to the previous point, newsletters are a great strategy to make the most and recycle your already existing content via content curation strategies, for example, by sending each user a selection of articles and videos according to their interests. High personalization. Email marketing lead generation lets us get to know the ins and outs of each user’s behavior and treat each one individually. It is a unique, direct and highly personalized tool. Guaranteed delivery. With tools like social media marketing, you have no control over who receives your messages. With email marketing on the other hand, you know exactly who you are talking to, and you can be sure that your message will be seen by them. With good and regular database cleanings, your delivery rate can come quite close to 100%. Easy to measure. Thanks to tools like that opening or click ratios, measuring your email marketing campaign results and comparing results over time become quite easy. There are even several benchmarks for this strategy, segmented by countries and by industries, making it even easier for you when setting your goals. Synergy with other tools. Email marketing lead generation is an ideal complement for your email marketing strategy which you can use to strengthen and enhance the effect of your other marketing efforts. In the following case study I will show you just how we did it in real life. Renfe-SNCF is an association between two european high speed train specialists to promote train connections between France and Spain. In the beginning of 2014 the company renovated their digital identity and relied on us here at Cyberclick to elaborate a complete multichannel strategy, in which email marketing played a key role. To create a personal database, we focused on generation registrations via recurring email campaigns with a click-to-lead model. It encouraged users to subscribe to the newsletter to stay up to date with Renfe-SNCF’s news, while simultaneously redirecting them to the website to see the company’s latest offers. With this we were able to generate high quality traffic in terms of session durations and ticket search and booking rates. The creation of a database with over 100.000 users who consistently receive communications from the brand. Generation of a high quality traffic source, with a bounce rate under 2% and a average session duration of over 2 minutes. An email opening rate around 15-20% in Spain and 10% in France. An average CTR of 7% in Spain and 5% in France. Thanks to the selected generation model, the conversion to lead ratios are the same. With the results of these efforts, we were able to achieve very significant eCpm data for all the email sendings, an essential metric to guarantee continuity in the lead generation. Improvements in the website’s search engine positions via a top-to-bottom technique. We began the optimization process on the homepage, with more generic keywords, and then moved on to secondary pages and finally to longtail keywords. We finally achieved to have over 800 pages indexed by Google and over 100 keywords in the top 10. Content Advertising campaigns to increase the number of visits to the main markets’ websites. Currently, content marketing contributes 20% of the website visits and over 85% of the new users who discover the website. We also experienced other benefits in the medium-run, such as the strengthening of the brand’s reputation and an increase in direct searches. Dynamization of communities. We initiated a presence on the main social media networks, which today have over 17,000 follower-fans and attract between 10,000 and 20,000 monthly visits to the website. Occasional Promotional initiatives, such as the one we created in June 2015 to increase awareness regarding the less popular destinations in France amongst the Spanish population. Inauguration of Renfe-SNCF’s online presence in new international markets, after establishing their brand in Spain and France.